Bloodstone also known as heliotrope is a deep green stone with small red specks. The small red specks are where the stone gets its name. They make the deep green stone appear to be spotted with blood. 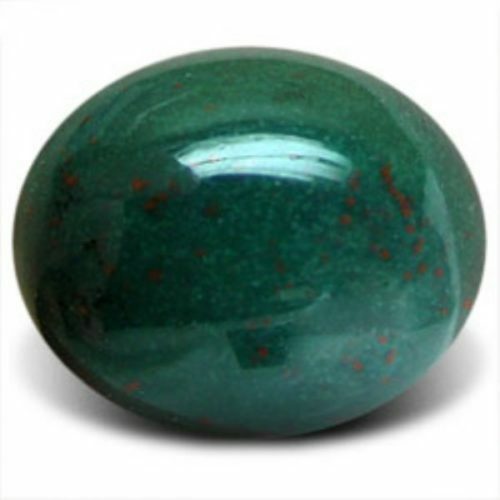 Bloodstone is excellent for becoming centred and grounded. It is said to help with calming, particularly in survival situations, giving you strength during times of strife and hardship. It increases mystical energies in your life, bringing adaptability and organisation as well as lessening confusion and anxiety. It is said to be a stone of courage, bringing refreshing energy to the mental, physical and emotional bodies by releasing blockages. It is said to be particularly good for helping emotional traumas and grief. Bloodstone promotes courage in the face of change, showing the owner the benefits of the “pain period”, the period of intense effort and reorganisation which is often necessary to improve ourselves and correct our behaviours. Bloodstone – believed to have great magical and protective properties, possessing the ability to banish evil, keep out undesirable influences and dispel negativity. As its name suggests, Bloodstone is an excellent blood cleanser and amazingly enhances wearer’s chances of luck. Bloodstone is a hero’s stone. It can instil courage in dangerous situations (like everyday life) and protects us from our own dangerous desires. A solid protector from jealousy as well. It revitalises love, relationships, and friendships. Also dramatically enhances one’s natural abilities, talent and creativity. Bloodstone Known as “the stone of the warrior,” this stone enhances courage and brings an understanding of the benefits behind each hard-won victory. It helps us to revitalise and open our hearts, tempering strength with compassion. It is a protective stone, and in ancient times was thought to slow bleeding. This stone is often used by athletes to give them both courage and physical vitality. 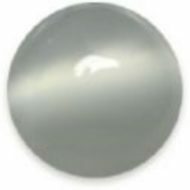 It is also a prosperity stone, helping to manifest wealth and fortune. Bloodstone, also known as “green jasper” was treasured in ancient times, and believed to have great magical and protective properties, possessing the ability to banish evil, keep out undesirable influences and dispel negativity. Bloodstone heightens the intuition, gives courage and increases creativity. It is also a powerful revitalizer. As its name suggests, Bloodstone is an excellent blood cleanser. It is also a profound stone that benefits the immune system, hence making your body resistant to infection. Mentally, Bloodstone calms the mind, clears confusion and enhances the decision-making process. Emotionally, it reduces irritability, impatience and aggressiveness. Bloodstone is very good if you are in a new relationship, it helps to remove misunderstandings and encouraged your partner to trust you more.